2 Bedroom Terraced House For Sale in Pwllheli for £145,000. 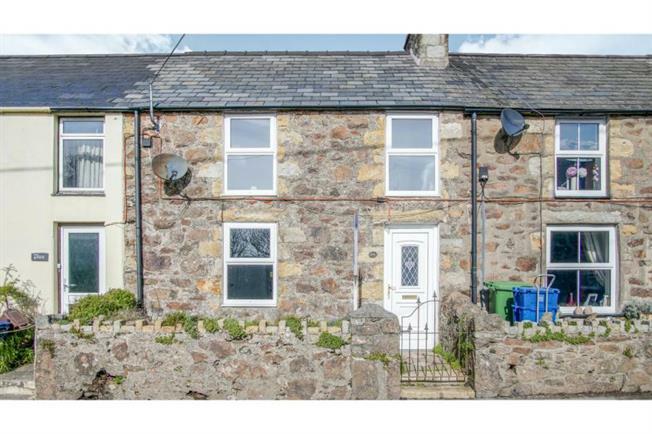 A character, mid-terrace two bedroom stone cottage, having undergone some recent refurbishment and internal re-decoration with a pleasant long rear garden, lying in a much favoured residential neighbourhood to the upper part of Llanbedrog Village, on the roadway leading out towards Mynytho. The cottage has a rear extension which provides a kitchen and an upstairs bathroom. A large lounge/dining room lies to the front with the two bedrooms to the first floor.